Today I'd like to show you what I've already accomplished with decorating for Christmas. That's what I would like to show you. The problem is, I haven't really accomplished anything yet. Well, it looked almost like that. Actually, I had to take out the beautiful rug because the dog peed on it, so things weren't quite this pretty even when we had company. It can be so tempting to try to present only magazine-worthy loveliness on my blog. And I do love to make things pretty and to share ideas. But a little thing happened last week that really got me to thinking. I was talking to a good friend who told me that there had been a mix-up with her utility bill and that her gas had been shut off. This was not an emergency--she lives in a comfortable home and was able to pay her bill; there had just been an organizational issue that hadn't been resolved in a timely way. I sympathized with her having to deal with this inconvenience, but secretly I wanted to hug her. I wanted to kiss her feet. I wanted to jump up and down and say, "Thank God! I'm not the only one!" Maybe you don't have any organizational issues. Maybe you're a person who is naturally tidy and put-together. If so, I admire you greatly. The truth is that I wish I were like you. God doesn't wish I were like you. He doesn't wish that I were like anyone but me--messy, disorganized me. He loves me just the way I am. He'll take me just like this--piles of stuff and dirty rugs and all. He wants to transform my heart so that I'm more and more like Jesus--but He still wants me to be me. The real me. And that's how He feels about you, too! So here's to real life. The beautiful and the messy. The organized and the disorganized. Tell me--are you the organized type? Or do you struggle like I do? Do you have "real life" scenes that aren't so pretty? I'd love to know! Thank you. I have not gotten out a single Christmas decoration yet. My life feels completely disorganized and out of control. Do NOT look in any closet in my home--every single one is a mess. I wish I could be more organized, but, sadly, I don't think that's going to change any time soon. I love the honest posts. Even if it's not something I struggle with...I have other struggles and it's nice to not feel alone in my weakness. Haha! That's what my living room has looked like this past week! It's such a blessing that God knows we can't be perfect... and neither can our house. Thanks for keeping it real! I know most of us don't show the pictures of the dishes in the sink...or the piles of laundry, or in my case, my dresser with my jewelry laying all over the place, or my shoes in piles in my bedroom and master bathroom..or my closet needing to be cleaned out and organized. Ha! My front guest bedroom is where I sit and get on my laptop computer. I treat this room like a den. I sit in my wing back chair by the window and look out the window, and read books here too. I have a little tv in here, so I am often watching tv and eating breakfast, lunch, or snacks in here, so the napkins pile up, and so do books, movies and the cd's that I listen to on my cd player/radio. This is my little haven! Thanks for being candid with us Richella. I can't wait to see the pretty Christmas decorating soon. 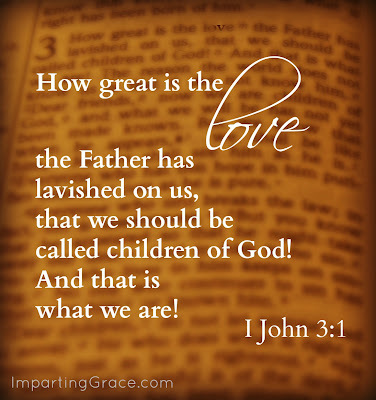 What a wonderful verse to remind us of God's love, especially when we can be so harried this time of year. Your mess looks wonderful compared to mine. I have been slowly bringing up my bins from the basement. Last year I decorated the entire house the weekend after Thanksgiving but I took things a little slower this year. Of course, I still have boxes all over! Oh well! Have a nice weekend! Oh, thank you! I just started bringing up my Christmas tubs this afternoon. Nice to know I'm not the only one with tubs and stuff around. I think we help each other as women when we are more honest with ourselves and each other. And let's give ourselves grace to say that it's OK if we don't decorate a lot this year, and maybe it's enough to just keep the kids clean and fed right now. And Shelly, my heart goes out to you. At certain stages of life, it is very difficult to be organized, and some of us have a harder time with it. I very much recommend trying Flylady.com, try her Baby Steps. Thanks for making a space here for us to be honest! I used to be the squeaky clean, organized, nothing out of place woman. I wish I could still say that, but having two growing children and renovating an old house finds me quite the opposite these days. Thank you for reminding me that God's okay with that and he loves me anyway. I needed that today. Happy Holidays! BLESS YOUR HEART!!! as my grandmother used to say. =) I am absolutely the messy type, but you know what? I've noticed that I gravitate to other people who are also messy types. Messy types tend to be deep thinking and deep feeling creative types. Those are my kind of people! And I always giggle to myself when company tells me how "lovely and clean" my house is...That's because I knew they were coming over! It's nice to hear that God wants me to be me. The real me. Thanks. Richella, this is a great post! I was never able to keep a "picture perfect" house until this fall, once BOTH girls were off to college. Even now, laundry and dishes can still pile up...but, I don't feel bad about it at all. It's called, "real life"; and I just go with it...lol! Probably our most memorable holiday was when the kitchen sink decided not to work on Thanksgiving. Sigh....sink full, no plumber within a 100 miles...afterwards, dirty dishes, pans, etc. piled to the sky. After that event I just accept what comes my way. (smile...should have done that from the beginning. Huh? 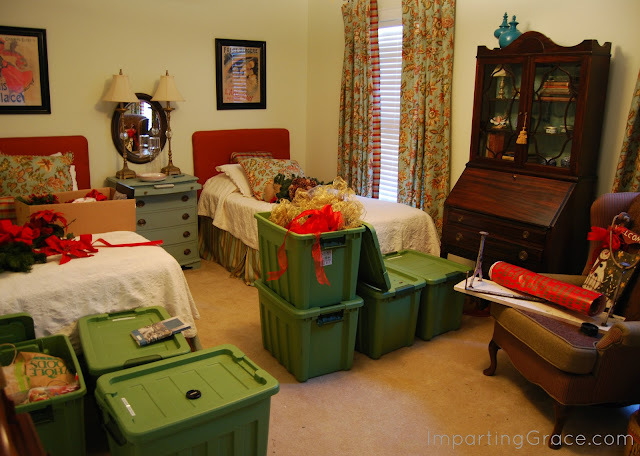 My guest room looked like yours with all the Christmas stuff scattered around, but it eventually got cleaned up and is once again ready for company. Beautiful words, Richella. I often worry that some folks in blogland feel very compelled to try to be too much like some other blogger at the expense of their wallet or their self-esteem. I truly hope that is the rarity. We all have talents and hopefully can be authentic. Hi there, I'm so glad you posted this but have to tell you that your guest room looks mighty tidy. I unpack all my ornaments and decorations and lay them on the coffee table and couch in the living room. Until they are on the tree, it is such a mess. I have never been good at packing them up either, I wrap them in newspaper or tissue and put them in a box, in no specific order. I pity my daughters when the time comes and they have to go through all the boxes. If you think this is bad, you should see my sewing room; I don't have a large table and so right now there is tons of stuff on the floor. I'm so glad the Lord doesn't judge me by how neat and tidy I am. perfect and God knows this. It is more important to share your time with your family and dust will just have to wait. Such a beautiful post. I am mostly organized. At least when it comes to stuff I can control. My stuff. My hubby's stuff and my son's stuff? Not so much. I've tried changing them, but I've pretty much given up. 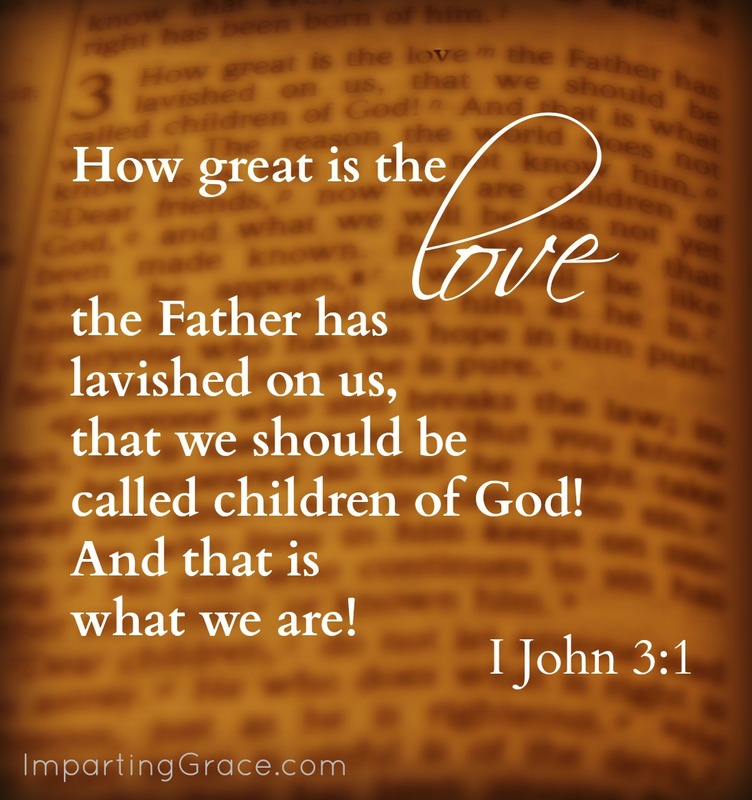 This is a reminder that God loves them just the way they are, too. And, no, I'm not perfectly organized all the time either. So, I must show them the grace that I've been shown. Richella, thank you for sharing with such honesty. Why should we pretend to be perfect? We are beautiful in God's sight - imperfections and all! Like you, organization is a challenge for me, and it's a constant struggle. Thanks for reminding me to keep a sense of humor about it. Thanks you so much for the admission. We struggle so hard with the image hype that we wear ourselves out and forget to enjoy the holidays. I copied the scripture and I am going to put it on a pillow to look at when I feel overloaded. Look your blog. Thanks for being real! My water got shut off a few weeks ago because of my lacking in the paper organization department.I felt like the "only" one. Thanks for the reminder that Jesus loves us just the way we are!! haha...you would not have wanted to see my house a few days ago...I couldn't figure out if I was decorating, wrapping presents, sewing or cooking dinner - house was a disaster - so you are not alone in your chaos! Well, I just got off the phone apologizing to the dentist because I forgot my appointment which they called to remind me about on Friday. Then, I read this and it made me feel so much better to know that I am not the only one. I needed that reminder that God loves my forgetful self. My dining room looked like your guest room most of last week until I finally got all the decorations up. Great post! It was so good and reassuring reading that someone else has organizational problems, (and a peeing (only once in a while) dog). So many of blogland's contributors seem to live the lovely, perfectly organized life. Their dogs even seem to be perfect. I tend to create major chaos when I create and decorate, and sometimes my little dog creates a drop or two of his own chaos. I've discovered it is a lot easier to go ahead and love my little dog and myself anyway. It's just that there won't be too many full room makeover photos ever on my blog, because my life mostly just doesn't go that way. The perfect decorating examples are fun to see and do inspire me, though.